Your purchase of an Infiniti vehicle is an investment in luxury, and as an Infiniti owner, you know that a quality vehicle demands quality service. When you bring your Infiniti vehicle to Dempster’s Quality Car Care you can relax knowing that a professional and experienced technician is working on your vehicle. We are equipped to service the entire Infiniti line, including the G, Q50, Q60, QX50, QX60, or a part of the IPL series, and our professionals will make sure that your vehicle is running at its best for a reasonable price. Our trained team of technicians is dedicated to helping you to get back on the road safely and quickly. 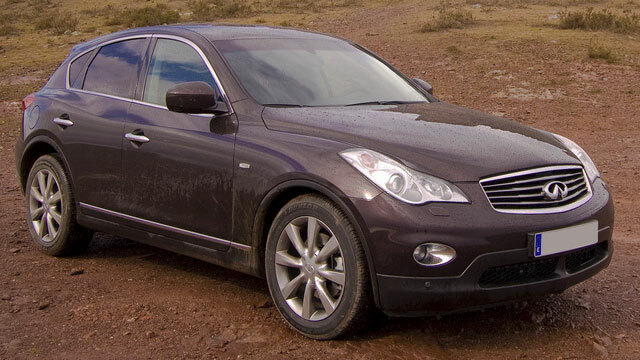 To make sure that your Infiniti vehicle is safe for the road, we recommend that you schedule regular maintenance. The purpose for these services is to look over the vehicle for signs of wear which may cause problems down the road. This preventative maintenance often saves our customers money in the long run because seemingly insignificant issues were taken care of before a major repair or overhaul was needed. If your Infiniti vehicle does need a repair, our skilled technicians can run diagnostics and repair your Infiniti automobile. Our certified technicians are happy to answer any of your questions. Put our service to the test and give your Infiniti the service it deserves—If you have questions regarding your vehicle, or if you would like to make an appointment, give us a call on (215) 441-8002 or visit us at 16 E. Montgomery Ave, Hatboro, PA, 19040 to speak to our friendly staff about any concerns or questions you may have. We will be more than happy to help you schedule an appointment!